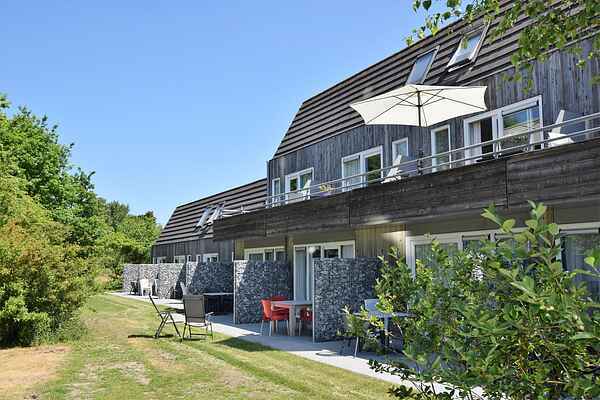 Apartment on the west coast of Ameland, on the edge of the picturesque and charming village of Hollum. The apartment is situated in an apartment complex, on the ground floor, and has its own terrace. You can use the various facilities such as a covered swimming pool, sauna and tennis court. There are various play provisions for the children. The location of the complex is unique, near the dunes, beach, 9 hole golf course and the authentic village of Hollum. The fire towers of Ameland are also within walking distance. On Ameland you can take lovely walks and cycling excursions through the forests and dunes, but also skydive, sail, surf and walk the mud flats or just enjoy a wonderful beach holiday.